3 Powerful Tips: For a Great New Year! As the new year approaches, it is a good time to take stock of your life and ask yourself if you like what you see. A new year can offer a fresh start – which can mean beginning something new or leaving behind some old habits or behaviors you no longer want to continue. The article below from Rene Godefroy addresses this very thing. I hope you will give serious consideration to the 3 tips below and begin your start to a Happy New Year in 2013! 1) Know “where you are.” Have you ever been lost in a residential area and no one was around to ask for directions? Now if you are somewhat familiar with the area, it’s easy to just turn around here and there and find your way back. But the worst part about being lost is when we are lost and we haven’t a clue where we are. Draw a map of your life and make every square a city. Name each square with an aspect of your life. One city can be your family, friends, knowledge of your field, spirituality, work, charity, financial, etc. Then rate each city from one to ten. Ten means you are doing extremely well, and one means it needs immediate help. What I just shared with you is like having a balance sheet for your life. Put all your weaknesses on one side and your strengths on the other side. Put your strengths to work and strengthen your weaknesses. You can read more books, go back to school or find a mentor. Perhaps you can learn 50 to 100 power words this year in order to get a verbal advantage. Whatever you do, keep in mind that a better year begins with a better you. The readers of No Condition is Permanent know about this. If you want to accomplish great things, you need to surround yourself with great people or people who have accomplished great things. You might say, “well, how do I find these great achievers you are talking about?” If you own a copy of No Condition is Permanent, refer to it for the answer. You and I know fully well that some so-called friends are not worth the aggravation. They are draining, and they sap the life out of you. Consider this: Small people are always talking about things, but great people talk about ideas and concepts. Do you find yourself mentally stimulated when you are with your friends? If you are not, then you should be. 3) Quit killing time. Have you ever heard people say, “I’m just killing time.” Those people should be on death row for first degree murder. If they only realized how precious time really is. I have a wealthy friend who once told me that he can make millions of dollars any time he wants. He can purchase more homes, cars, and other luxuries. But the only thing he can never buy himself is more time. His point is that he values his time more than his money. Wow! People who have little regard for time always find themselves engaging in activities that have nothing to do with improving their lives or that of those around them. They are routine people. They just do the same old things; they are just going through the daily motions. They love to shoot the breeze and just chill. Listen, you are entering a new year, and you are not getting any younger. You may have lost so many opportunities. As a reader of my newsletter, you are important to me. I can’t stand by and watch you squander your time and procrastinate. That’s why I am encouraging you to find out “where you are” and start taking action to change your life. Take my advice. Inventory your friends and stop killing time. I wish you all the best in this year! Talk about grief and feelings with one another and as a family. Confront any questions or concerns that surface about how family members are handling their grief. Encourage open discussions about the loss and do not be afraid to cry together. Accept help and support from others. Also be sure to recognize when other family members may need additional help. Allow space for individuals to experience grief in his or her own way without criticism. Individual time. Allow family members to ask for time alone when it is needed. Remember that everyone in your family will move through grief at a different pace. Allow time for family members who need it, while enjoying the success of those who are resolving their grief. Recognizing the differences each of you face in dealing with grief will allow you to pull together during a time when it is most important. Although grief can turn your attention inward, be sure to focus on your family during the Holiday Season. 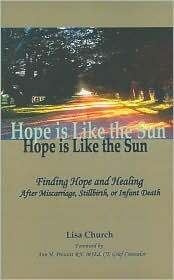 Welcome to HopeXchange, a community for women and their families facing miscarriage, stillbirth or early infant death. Sign Up for Our Blog & Newletter!